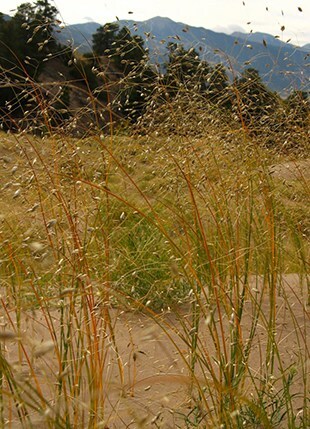 This perennial species is found in dry woodlands and along open, rocky bluffs, hillsides and rocky beaches. A native to eastern and central North America, this species is a primary nectar source for hummingbirds and other native pollinators, and will bloom from March to July. The downward facing flowers with red sepals and yellow petals that turn red toward the end of the spur, grow on tall stems with medium-green, lobed leaves. A hardy perennial wildflower, this species will easily re-seed and grows well in woodlands or meadows. 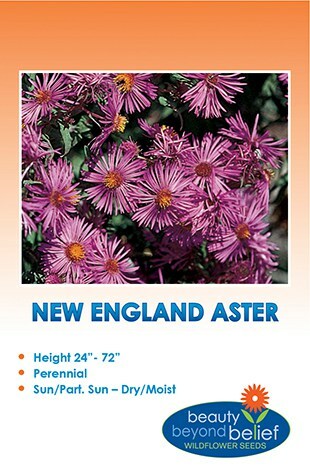 This perennial species is found in dry woodlands and along open, rocky bluffs, hillsides and rocky beaches. A native to eastern and central North America, this species is a primary nectar source for hummingbirds and other native pollinators, and will bloom from March to July. The downward facing flowers with red sepals and yellow petals that turn red toward the end of the spur, grow on tall stems with medium-green, lobed leaves. 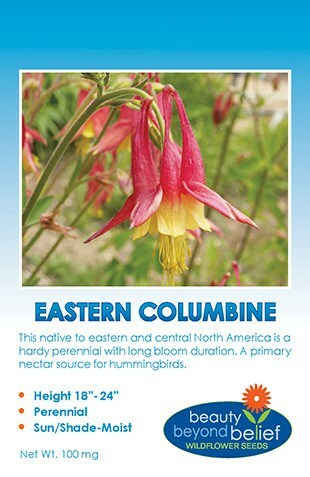 Eastern Columbine is a hardy perennial wildflower, this species will easily re-seed and grows well in woodlands or meadows. Plant in full to part sun and this flower will normally bloom the second year of growth. Cold stratifying by placing the seed in a bag with moist peat moss in the refrigerator for 3-4 weeks prior to planting to speed up the germination process. Prefers average to well-drained soils.